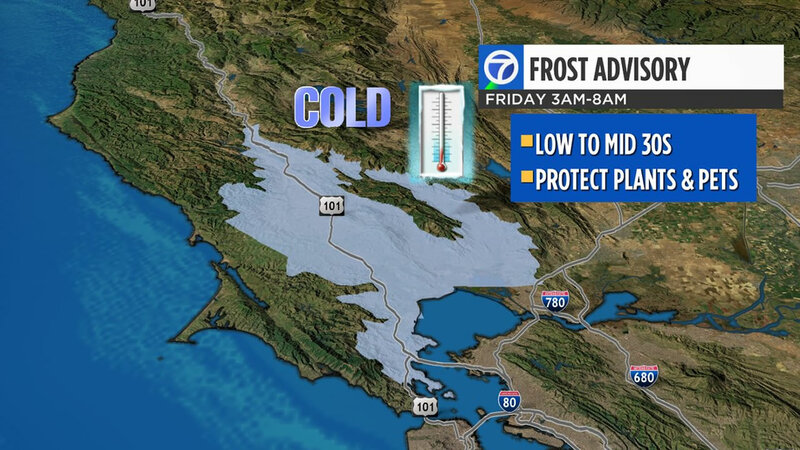 SAN FRANCISCO BAY AREA (KGO) -- Another cold night is ahead, so bring in any sensitive plants and don't forget about your pets. A frost advisory is going up for the North Bay Valleys in the morning where temperatures are expected to drop between the low to mid 30s. Once the cold goes away, get ready for some wet and windy weather. There's a storm coming in this weekend.